Does Wearing a Baseball Cap Increase Your Skin Cancer Risk? Portable UV Blocking Umbrella Helps Protect From Harmful UV Rays! As is often the case on a summer day, you can find me sitting under my portable sports umbrella, relaxing the afternoon away while thinking random thoughts. This past summer was no exception, and one day while I was sitting under my portable umbrella with tripod stand, listening to a baseball game on my radio, a thought passed through my mind. If my baseball caps could talk, what would they say? Sun damage to my baseball cap. Imagine what sun damage can do to your skin. And the tan baseball cap with my college’s initials on it, the one I bought at my college bookstore freshman year, would remind me that it’s time to mow the lawn again, since it’s my bumming-around, can-get-soaked-through-with-sweat cap that I wear when doing yard work in the summer. But if these caps could talk they would say one very important thing. They would say that wearing baseball caps increases your risk of skin cancer! Everyone has accessories that they take with them when heading outdoors on a sunny day. A radio and cooler, a pair of sunglasses, a baseball or frisbee to toss around, and hopefully, a portable shade umbrella to stay cool. But if I asked you what the first clothing accessory is that you put on when heading outdoors, I’m willing to bet that you would say a baseball cap. Don’t get me wrong, baseball caps are great, and I love wearing mine. In fact, I just bought a new Yankees cap to replace my old one, and am looking forward to wearing it this summer. I’m also looking forward to knowing that this caps colors won’t fade so quickly now that I have a portable sports umbrella to sit under. The answer to my original question is, unfortunately, yes… and the reason why should be fairly obvious. When you’re wearing a baseball cap and the sun is beating down on you, the amount of shade you get is very small, and only for your forehead. Baseball caps don’t provide UV shade protection for your ears, neck, and face – areas that are common sites of skin damage, sun burn, and skin cancer. So because baseball caps don’t adequately shield those areas from harmful UV rays, wearing them on sunny days does, in fact, increase your risk. (That’s not to say all baseball caps are bad – newer caps can, and do, provide UV protection for the top of your head. For example, this year Major League Baseball and New Era unveiled new batting practice caps for players that feature SPF 50 UV protection that helps deflect the sun’s rays, in keeping with MLB’s “Play Sun Smart” effort to protect players from sun exposure.) Now most people aren’t going to trade in their favorite baseball caps for a bucket hat with a brim all around. I know I’m not. And that’s fine – a baseball cap is a quintessential clothing accessory, so it’s not going to disappear overnight. Besides, I think it would look silly seeing a stadium full of baseball fans wearing bucket hats, even if the hats were in their favorite team’s colors. I’m going to continue wearing one of my baseball caps when I head outside – I like them too much to give them up. But I’m also going to apply sunscreen to my ears, neck, and face when I know I’ll be sitting in the sun for long periods of time. And where I can bring my portable sports umbrella with me, I’m going to use it. 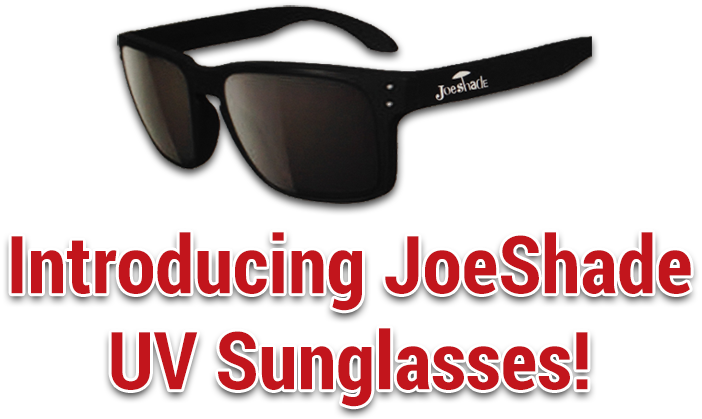 Not just to stay cool in the shade and protected from harmful UV rays, although those are great reasons. But also to take care of my new cap – I like it too much to let the color quickly fade from being in the sun! Do you have a story about your favorite baseball cap that you love to wear? Tell us more by leaving a comment below! It occurred to me that the practice of wearing a baseball cap over your ears could have originated with people wanting to wear a baseball cap, yet not expose their ears to skin cancer. My farmer brother-in-law from Kansas had the choice of a straw hat (which wore out rather quickly) with a brim, or a baseball cap and leave his ears exposed. A felt hat seemed too dressy. He is now being treated for skin cancer on his ears. Tucking the ears under the cap seems highly logical. Since it has become popular in some circles, it should cut the frequency of cancerous ears.